The discipline of general surgery requires the broad knowledge of a spectrum of diseases that might call for surgical treatment. It also demands specialized experience related to diagnosis, preoperative, operative, and post-operative management of many areas of surgery. At Wiregrass Surgical, our general surgeons enjoy the breadth and the depth that accompany their daily work. From colonoscopy screenings and hernia repair to gallbladder removal and treatment of thyroid, breast and colon cancers, the variety and innovation are unmatched. Most importantly, we offer our patients the most up-to-date and minimally invasive options available. Whether we use a robotic, laparoscopic, single-incision, or a non-surgical approach, our goal is to make your recovery as quick, painless, and pleasant as possible. The general surgeons at Wiregrass Surgical have a central core of knowledge about anatomy, physiology, metabolism, immunology, nutrition, pathology, wound healing, shock and resuscitation, intensive care, and cancer — each of which is common to all surgical specialties. Continuing education and training in the constantly evolving field of surgery is crucial. By staying current, the surgeons at Wiregrass Surgical provide the most innovative solutions to the Wiregrass and surrounding areas. Beyond techniques and technology, we also strive to offer you a positive and nurturing experience so you can walk through our doors knowing we have your best interest in mind, supporting you through your entire surgical journey. These are the most common types of procedures our general surgeons routinely perform. 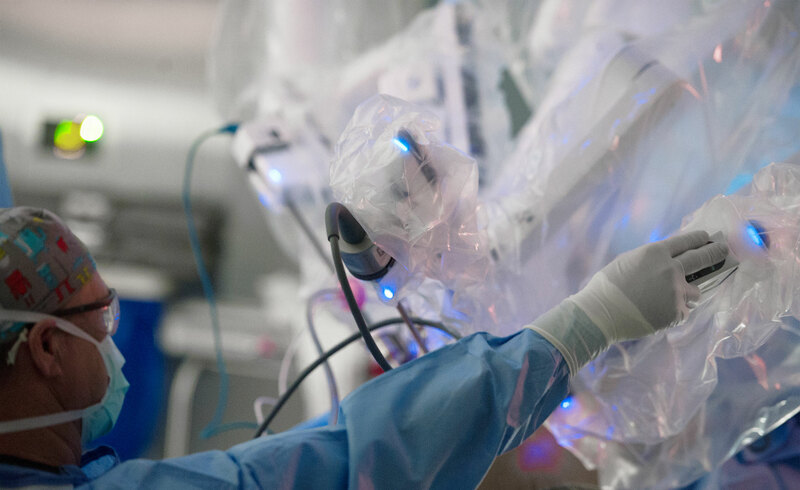 You’ll find many listed in the Robotic Surgery section, too, as we now use our state-of-the-art da Vinci robotic system during many procedures. Your portal to exceptional care. We make it easy to get access to your healthcare information.